The second trailer for the upcoming Trolls movie has been released, reminding us once again that a movie based on a 90s toy known for its hair and little else is in fact a thing which is happening. Typical of trailers for blockbuster movies, especially those aimed at a young audience, the Trolls trailer is big on frenetic action set to electrifying music, and short on fussy details. It doesn't appear the movie has too complex of a plot, though: the happy little Trolls have been kidnapped by a loathsome creature called a "Burgin". So Poppy, who is the happiest happy person in all of happy-ville, apparently, sets out to save them with the aid of a jaded and reclusive Troll named Branch. So right there you have a stock standard kids movie plot that will no doubt play out in the stock standard way, and the requisite protagonist team mismatch which will no doubt have hilarious consequences. And I'm sure we'll all learn an important lesson about friendship, or believing in yourself, or looking for the good in people or something like before this is through. Anyway, the trailer takes about 50 seconds to dispense with these plot details, but it runs at just over two minutes. Which means the remaining one minute and ten seconds are filled with unconnected action sequences, broken up by a gag or two, set to a Justin Timberlake song. Another important point about this movie that the trailer makes not once, but twice, is that the movie will likely have its share of gross-out humor. The trailer features two toilet gags, one involving pee, the other poop and the consumption thereof. I know little kids like gross stuff, but mentioning it more than once here suggests this won't be the smartest animated comedy of the year. 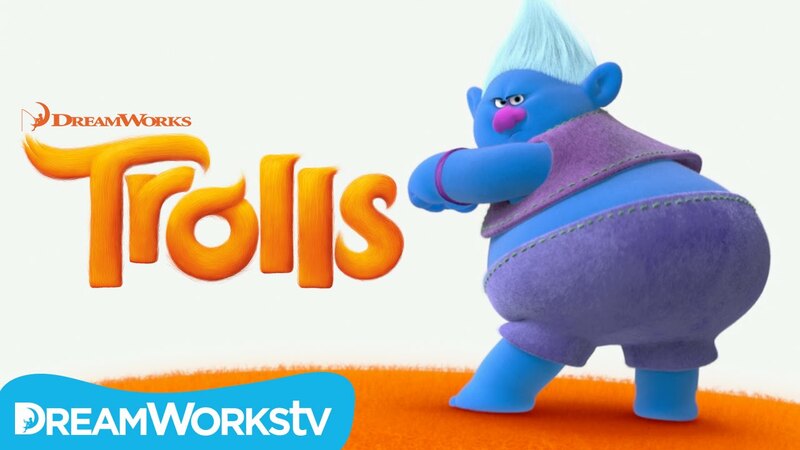 Even though this is likely another film project inspired by the recent success of The Lego Movie, it doesn't appear that Trolls will be working quite so hard for an all-ages appeal. As I am no longer six years old (nor burdened with a six-year old, praise be to God,) I will likely not be taking this particular trip down nostalgia lane. Trolls, starring Anna Kendrick, Zooey Deschanel, Justin Timberlake and Gwen Stefani, will be released on November 4, 2016.